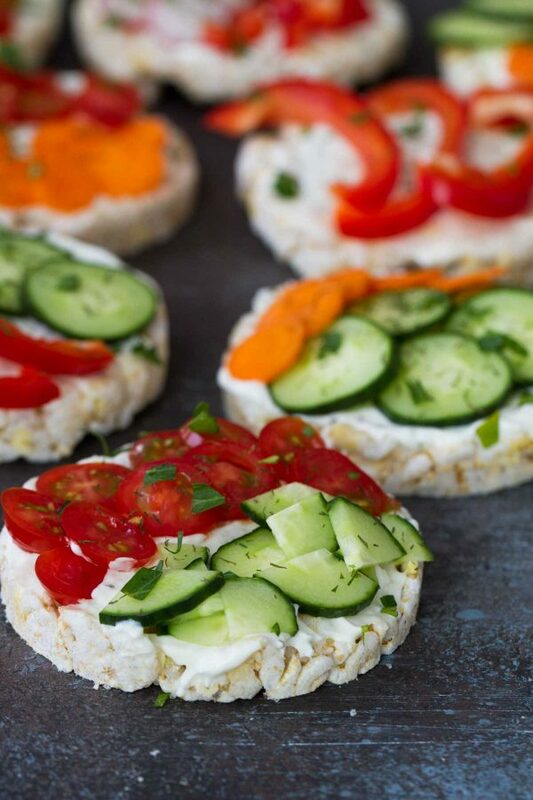 The perfect snack or super easy lunch recipe – these Ranch and Vegetable Topped Rice Cakes are easy, fast, healthy and perfect for moms and kids! I am a snacker. Every time I sit down to make health goals for myself, I always know that snacking is my number one downfall. Not that snacking is bad on its own, but when I’m hungry, especially if I don’t have time to actually make a meal for myself, I’ll end up grabbing whatever I can find. Sometimes it’s a bag of chips, sometimes it’s a handful of crackers. Most of the time, though, it’s not healthy. I have tried to get better by prepping veggies and having them easy to grab in the refrigerator. This is great, except sometimes it’s just hard to eat plain vegetables. As much as I want to, I’m not a person that just craves vegetables by themselves and can just snack on them all day long. 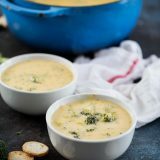 I do love to dip, though, and always have a container of Marzetti Ranch Veggie Dip in the refrigerator. 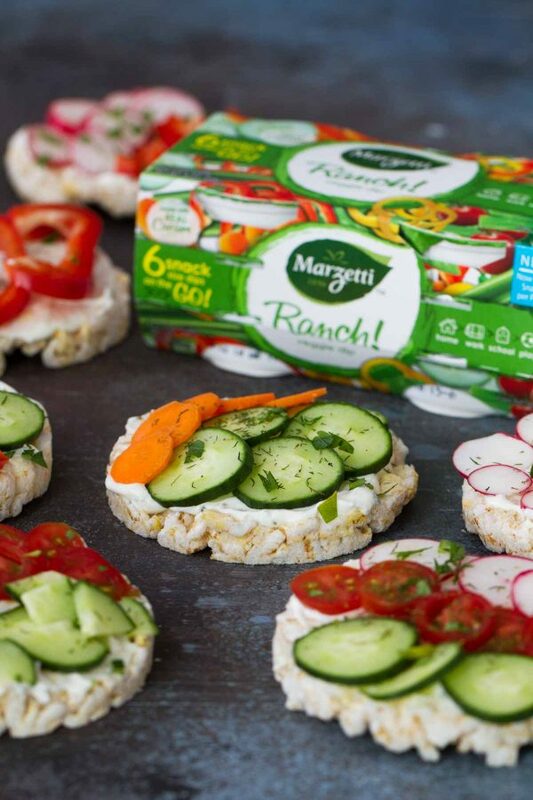 But have you seen these snack sized Ranch Veggie Dip packs from Marzetti? I am so in love with them! Not only are they the perfect size to throw in the kids lunches for school, but I can also grab a bag of veggies and a dip on my way out to snack on when my life seems to be all about running my kids all over. 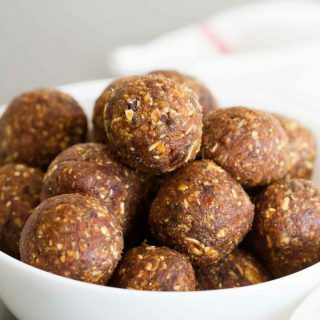 They are the perfect size – 1.5 ounces each, and make snacking so much easier! 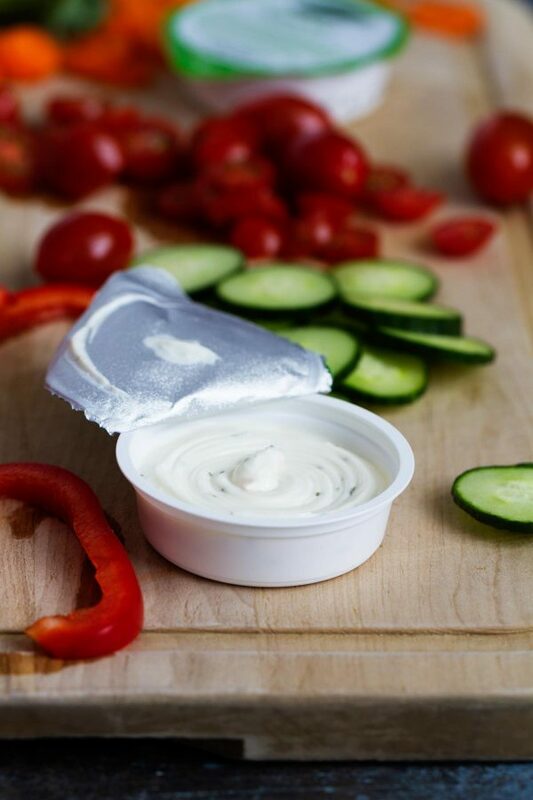 They have the same Marzetti Ranch Veggie Dip that I love – I love how creamy it is and that it is made with real cream. Now let’s take things a step further. My sister mentioned this idea to me, and I was smitten. 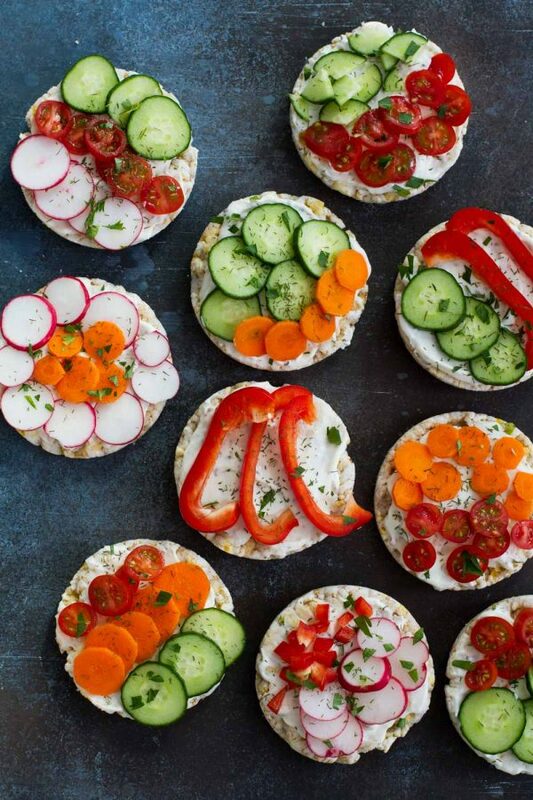 These Ranch and Vegetable Topped Rice Cakes take that veggie and ranch idea but make it a little more substantial. 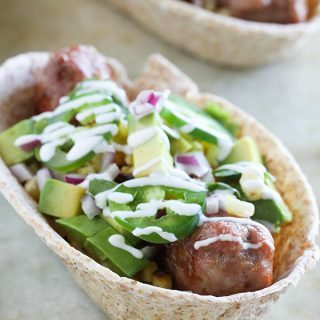 These are perfect for snack time, or even make a great lunch. The Marzetti Ranch Snack Packs are the perfect amount to make two rice cakes, so they are great for when you are craving a snack. 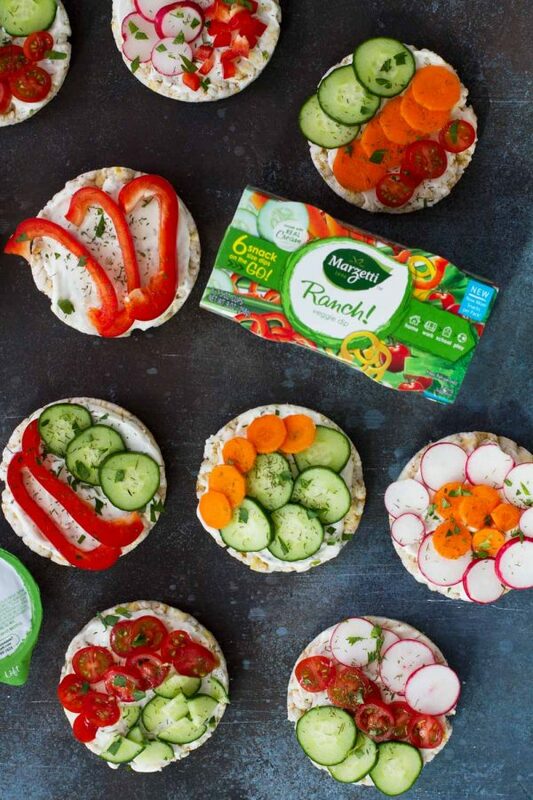 What do you need to make Ranch and Vegetable Topped Rice Cakes? I love that there really aren’t any rules here! Start with a rice cake. I have been loving rice cakes as snacks lately, especially that there are so many different flavors these days. I used a white cheddar rice cake, but I had some sun-dried tomato rice cakes that would be fantastic. 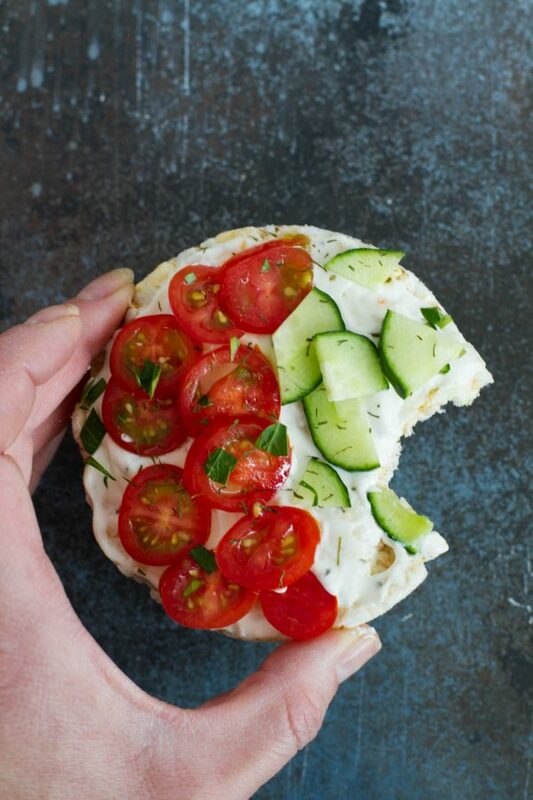 Even plain rice cakes would be great – there is a lot of flavor going on on top! Your second ingredient is the Marzetti Ranch Veggie Dip. 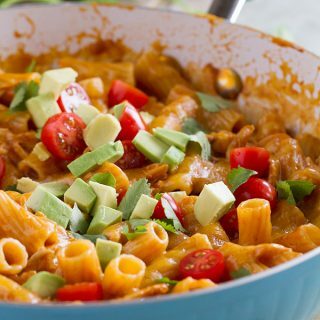 Not only does this help everything to stay together, but it adds so much flavor! Then come the vegetables! 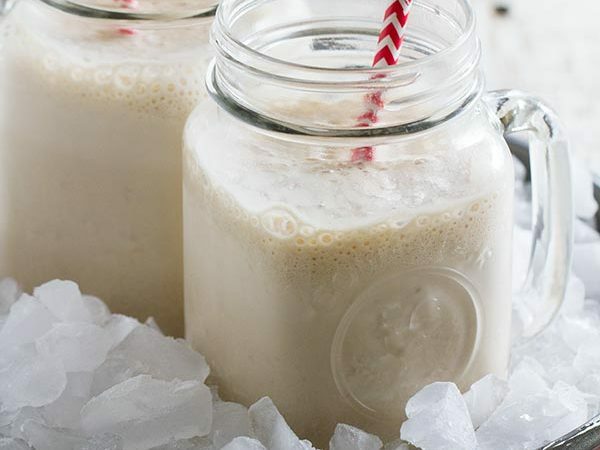 This is when you can get creative with what you like or what is in your fridge. 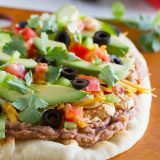 I often have already sliced veggies in the fridge, so this can seriously be made in less than 5 minutes. 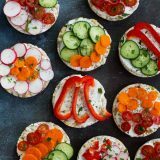 Even if you need to spend a couple minutes chopping vegetables, these Ranch and Vegetable Topped Rice Cakes are super fast and easy. I like to top mine off with a little bit of herbs, but this is totally optional. 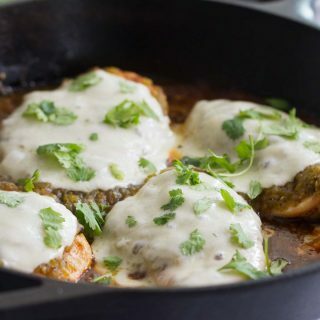 I’ll usually add herbs that complement the ranch, like dill or parsley. I love that these can be a healthier alternative than reaching for a bag of chips. 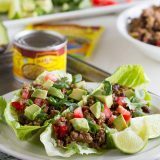 You still get that crunch, it’s a little more filling, and seriously so good! For more ideas or to learn more about their products, check out the Marzetti website, follow them on Facebook, or on YouTube! 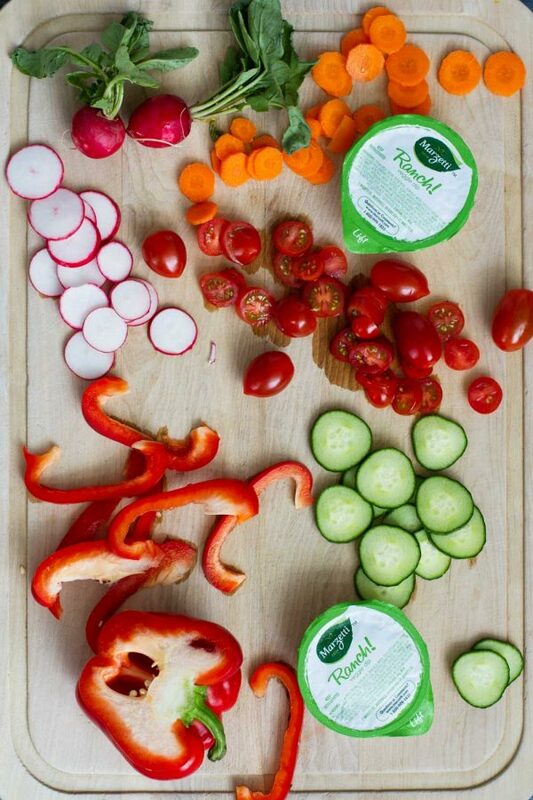 Want more ways to use Marzetti Ranch Veggie Dip? Spread 1/2 of the ranch dip on each of the rice cakes. 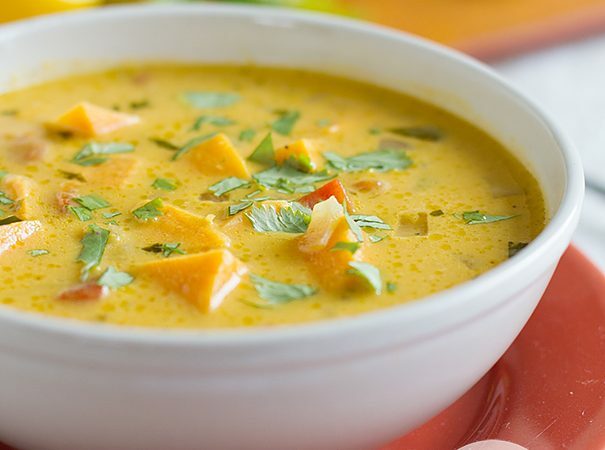 Top with desired veggies and chopped herbs. Serve immediately.